You are looking for cheap shades of good quality? 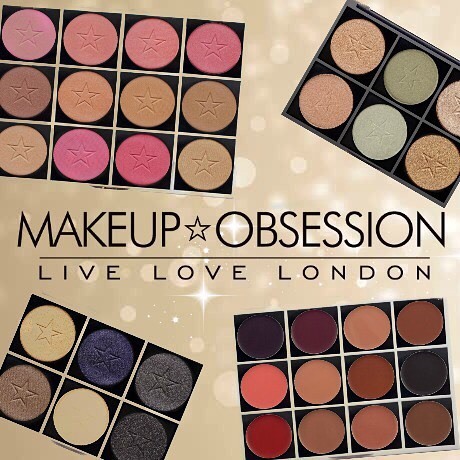 Now in Boots stores you can find a new brand Makeup Obsession where you could create and custiomise your own palettes. You buy the empty palette. 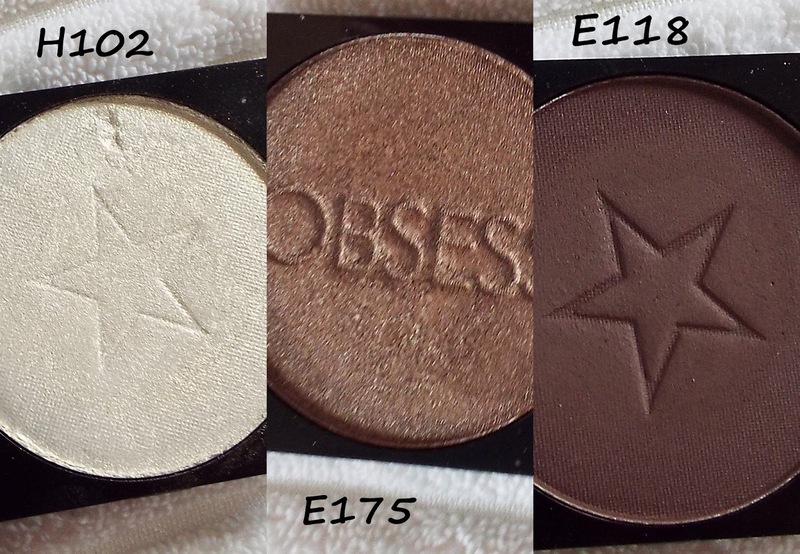 and fill it with the eye shadows, highlighters, bronzers and blushes that you pay for separately. Pallets are in two sizes large £6.00 - holds 12 singles and medium £4.00 - holds 6 singles , in different colors like Gold, White, Black, Pink, Silver and Rose Gold. 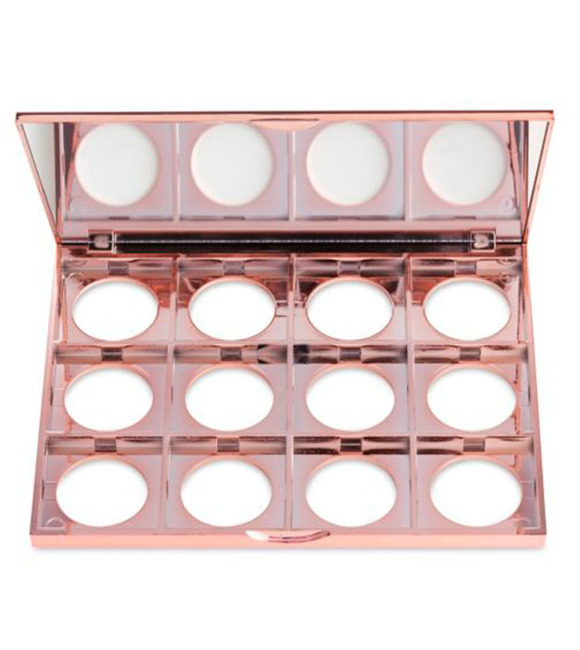 All inserts are the same size, no matter will you choose Eyeshadow, Blush, Highlight, Contour All match to the empty palette the same. Always got 2g of product. 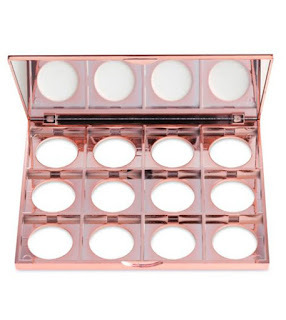 To add the pans to your palette you simply open the box they come in, push the back of the pan until it pops out and click it into place in the desired slot on the palette. The company has a wide range of colors. 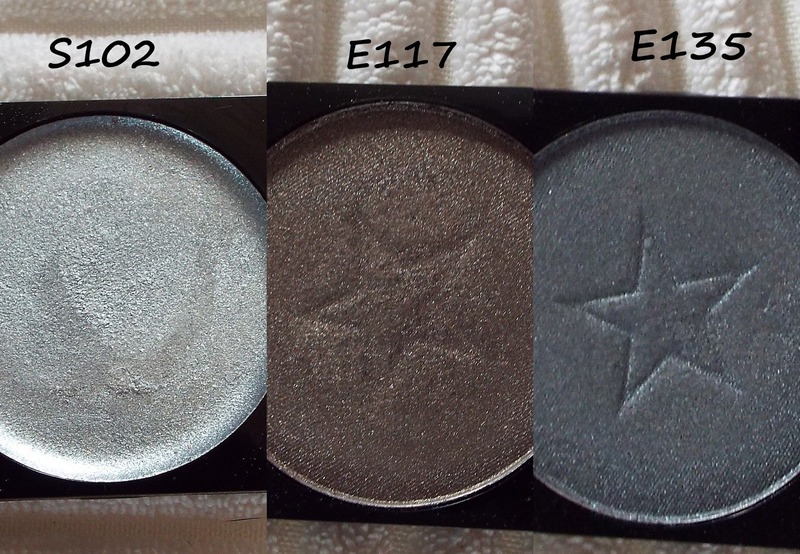 Shadows are made of matte and perlite finish, cost £2.00 per single insert. 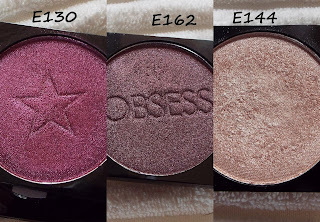 What is my opinion on them? First swatch with base and second without !